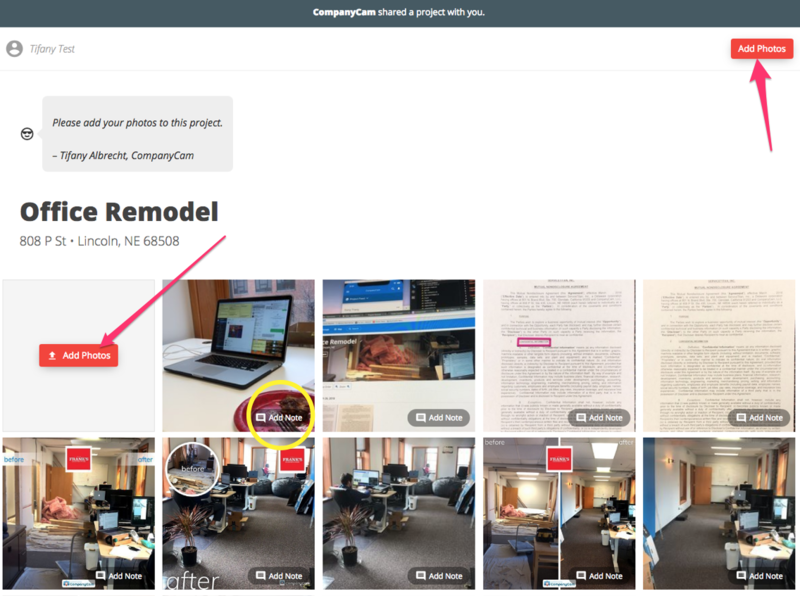 As a guest user you can add photos or notes into a project in CompanyCam. 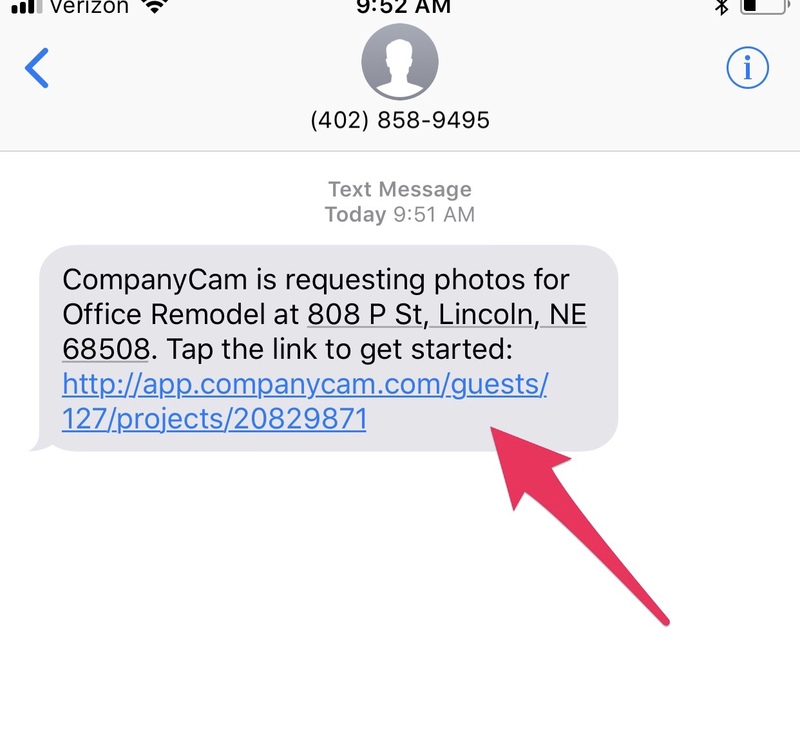 When a company adds you as a guest user in CompanyCam, you will receive a text message as well as an email with a link to access the project. Follow the steps here to add photos and/or notes from the computer or your mobile device. 1. Click the project link in the email that you received. 2. Enter your email address to verify yourself as Guest User. 3. Choose Add Photos (pink arrows) or Add Note (yellow circle). 1. Click the link in the text message that you received. 2. Enter your email address and tap 'Verify'. 3. Tap 'Add Photos' or 'Add Note' as needed. That's it! 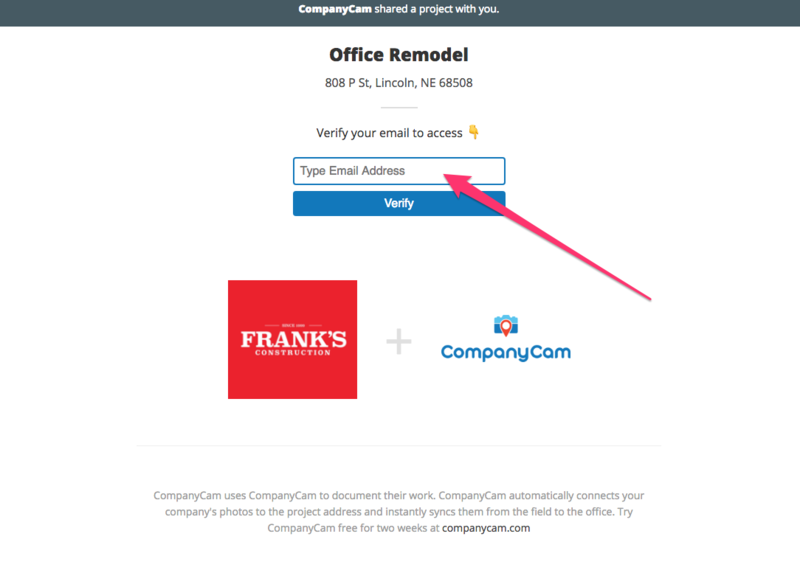 Thanks for using CompanyCam.